It isn’t hard to figure out why Coorg, officially named Kodagu, is one of the most popular hill stations in India. After all, when a place is fondly referred to as the Scotland of India, it deserves to be explored in its entirety. Most people come here to enjoy the misty landscapes and endless expanses of plantations that force you to slow down and smell the coffee in the air. Situated along the eastern slopes of the Western Ghats in Karnataka, Coorg experiences a pleasant climate throughout the year. Being a hilly district, the lowest elevation is 900 metres (3,000 ft), and the highest is 1,750 metres (5,740 ft) above sea level. Perhaps that’s why there is no such thing as a bad time to make your way here. The winters, in particular, are a tourist’s delight as it remains moderately cold through the season, with temperatures fluctuating between ten and thirty degrees Celsius in the months of December to February. The monsoon, which lasts from June to September, is also an excellent time to visit. There is an abundance of things to do in Coorg. You can marvel at the tumbling beauty of Abbi Falls, or meditate in the large compounds of Namdroling Monastery, where around 5,000 monks and nuns reside. Take to the parsley-green hills scattered around Bramhagiri Peak, the perfect location for a family trek. Hidden among the vivid grasslands is a wildlife sanctuary where you can spot the giant flying squirrel, the lion-tailed macaque, and the Nilgiri langur among other animals. If you’re an elephant lover, you should head to Dubare Elephant Camp, where over 150 elephants reside in their natural habitat. Other sights in Coorg that you absolutely don’t want to miss include Raja’s Tombs, Nagarhole National Park, Raja’s Seat, and Nalakunad Palace, which sits at the feet of Tadiyendamol – Coorg’s highest peak. There are so many interesting places to visit in Coorg, not just because of their breathtaking beauty, but also because of their rich history. Those who form a part of this history, the native communities of Coorg, speak in the regional “Kodava” dialect. The official languages of the land, however, are Kannada and English. Other languages spoken by the residents are Malayalam and Urdu. The nearest airports to Coorg are the Mangaluru International Airport, which is about 160 kilometres away, and the Bengaluru airport, which is about 265 kilometres from the district. If you are travelling by train, the nearest station is Mysuru, located approximately 120 kilometres away. If the road suits you better, you can avail the services of KSRTC buses, which are connected to nearby cities such as Mysuru, Mangaluru, and Bengaluru. Your encounter with Coorg’s verdant splendour deserves to be enjoyable from the beginning to the end, and especially in the middle. That is where Club Mahindra comes in. Our sprawling resorts in Coorg at Madikeri and Virajpet are located near fragrant plantations and equipped with modern amenities like swimming pools, gyms, and spas. Check out the Club Mahindra reviews of these resorts and book your rooms today! Plan a vacation with Club Mahindra today & have a pleasant and comfortable stay at Coorg resorts with family. This entry was posted in Coorg and tagged coorg family travel, coorg karnataka, coorg travel, family travel guide coorg. Bookmark the permalink. 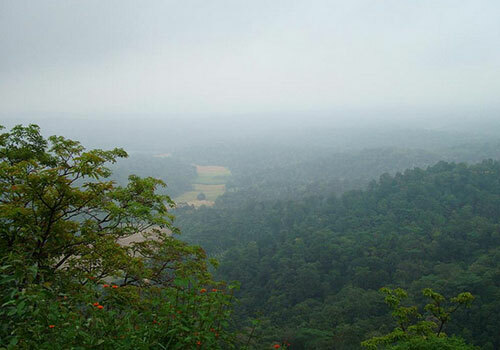 It would be amazing to see the beauty of Coorg.